Price intelligence is also known as competitive price monitoring. It is the awareness about the market price and how it impacts the business. Modern techniques like data mining and data scraping are used to analyze the information. Price intelligence is useful as it gives information on increased consumer price sensitivity, increased competition among the competitors, and increased price transparency. Price scrapers or price bots provide pricing intelligence solutions. 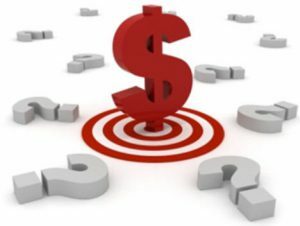 Price scraping is a technique used to lift off the pricing data from the e-commerce websites. Competitors use this data scraping technique to steal the dynamic data regarding the pricing. Many tools and technologies like cURL, HTTrack, Scrappy, Selenium, Wget, PhantonJS, and so on. The scrapers can also use third-party scrapers to target the data. They target multiple websites, pull the pricing, and catalog information and sell it to the competitors. Price intelligence has various advantages like optimization of pricing strategy, improvement of the in-store experience, boost pay-per-click, repricing etc. Scraping is done to analyze the website value of target and competitors and competitive edge. The competitor can completely analyze the data provided by the data scraping technique and override the pricing strategy by undercutting the prices. An entrepreneur can achieve success by using the data scraping tool. The company can also many customers by reducing the price of their products or services, compared to the competitors. But price scraping has its disadvantage. There is a huge drain of information from the websites. The companies that use data scraping techniques illegally must also deal with scrapers and competitors in the court. Competitive intelligence is the process of defining, forming, analyzing, and distributing data and information about the products, customers, demand, competitors, and competition. This data would help the executives and managers in taking a strategic decision for the company. It is a legal business practice so, you need to worry about court and privacy case. With the increase in technology and advancements, many companies have been established. Many budding start-ups are also coming into the play. If a company wants to stay on the top of the leader board, then it must use the technology. Data scraping is the latest technique used to extract data on and about different companies. Web scraping is done to gain information on the competitors. Having data about your competitors would serve as a huge advantage. 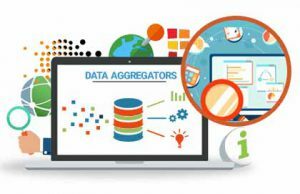 Data scraping would give you all the information about the market and competitors.